Bellingham artist, Karen Hanrahan’s Fashion Collages will be Social Fabric’s April Textile Art Exhibit. Opening on Friday, April 5th, during downtown Bellingham’s Art Walk event it will be available to view through the end of April. Karen’s installation is titled Project Catwalk, and features large banners of hanging interactive morphed and stitched collaged panels. She’s got an amazing eye and we are thrilled to showcase her work. Our art gallery is free and open to the public to view during regular business hours and open late Thursdays and during Art Walk/Wine Walk community events. FUN FACT – that photograph of the mannequins we use to promote Social Fabric – YUP Karen’s! She was gracious enough to allow us to use it for our store. Take a look at some of our previous exhibits and be AMAZED by how artists have taken liberties with this art form – ENJOY! Want to be one of our exhibiting artists? Drop us a line with some information about yourself and some images of your art work. We are looking for art that is not necessarily only textile in nature, but could employ textile references or methods. 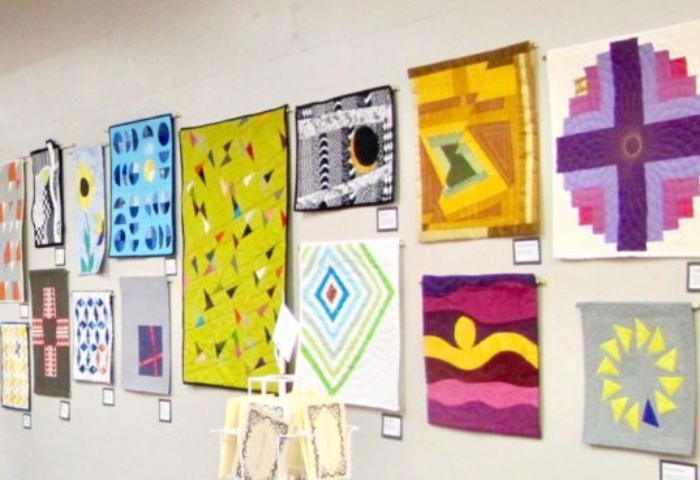 Email us at info@socialfabricart.com to open a dialogue about exhibiting your work.